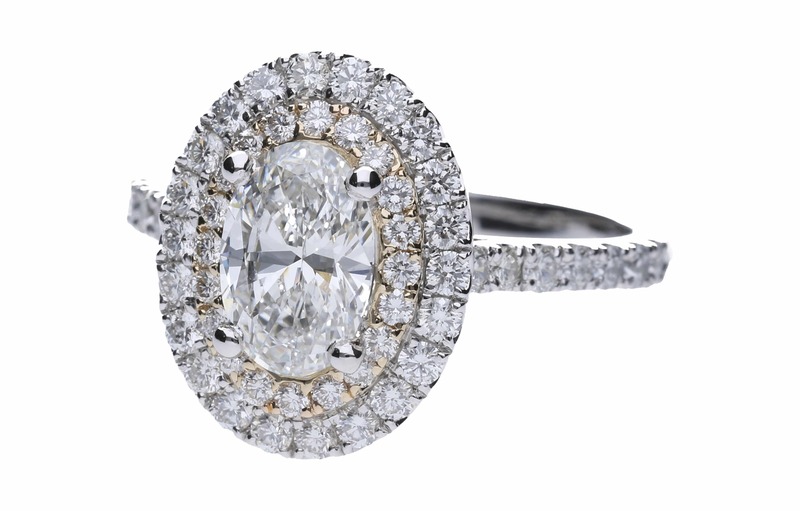 Shopping for a diamond, especially for an engagement ring, is not something you do every day. However, helping people navigate the confusing diamond marketplace to find better diamonds at better prices is something that we do every day. Whether you’re shopping for an engagement ring or buying your Mom a tennis bracelet, you might be wondering if shopping online or at some big store from out of town is the best direction. And if not, why should you come to House of Diamonds? We buy our diamonds direct from the cutters and actually reject 95% of the diamonds we see. 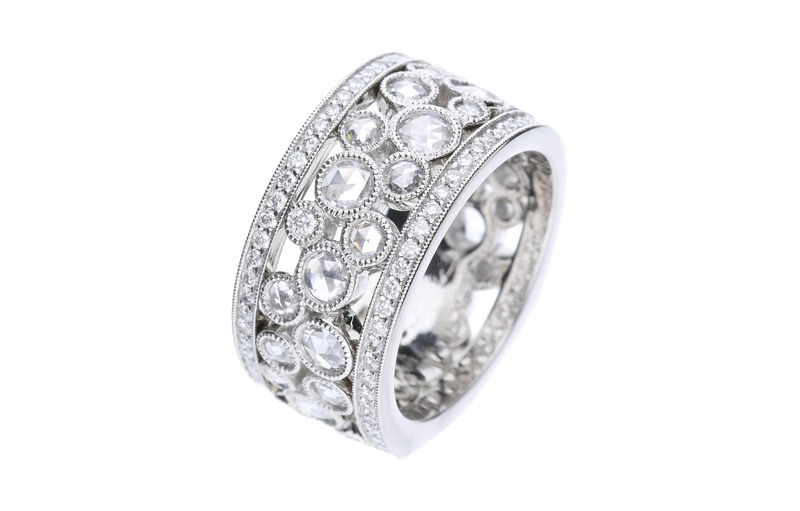 The differences are truly extensive, even within a diamond grade – differences you cannot see online. All our diamonds are hand-selected and are available for your personal inspection. We’ve been buying direct from diamond cutters for 25 years. And even though we sell only the top 5% of diamonds in each diamond grade, we still sell them for the same or less than the best prices online or at any other store in the Kansas City area. Come see for yourself. Come into our shop and compare our diamonds side-by-side to diamonds – within the same grade – that were sold online or at another store and traded for one of ours. Once you see the difference, you’ll understand why we’re so passionate about our diamonds. A lab-grown diamond is just a technology that starts depreciating the second you buy it. Our customers trust us to take care of them and letting you invest thousands on something that will be worthless if you ever want to trade-up is a violation of that trust. Buying a diamond from us is more than a purchase. It’s entrusting us with your supremely special moments – those that last a lifetime and beyond. And to protect the practical side of those moments, you receive lifetime cleaning, maintenance, insurance appraisals, discounts, trade-up benefits, and much more. We’ve been in the same location for nearly 25-years and still have customers from day one. We live here, work here, shop here and go to church here. You’re already our neighbor and when you trust us for your special moments, you become part of our family. And no one takes care of family like we do. We are family owned and operated right here in Overland Park. 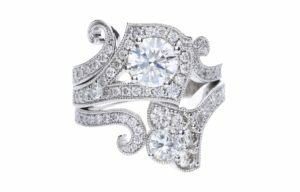 House of Diamonds is led and driven by a highly specialized team with 75+ years collective jewelry experience. Our passion for diamonds and the jewelry process is unparalleled. 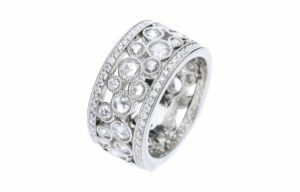 Specializing in custom designed jewelry, our custom jewelry is unmatched by other jewelers who boast of “Custom Jewelry”, but then send the work out to unknown fabricators. We offer the finest design, craftsmanship, and dedication from a team who is passionate about crusading the diamond business into its age-old custom fabrication roots. Our premiere custom capabilities consist of taking an idea and transforming it into something spectacular. Our state of the art technology and old-world craftsmanship is all contained within our shop. Your custom piece never leaves until it leaves with you. When you shop with us, you are entering a union we hold dear. You’re treated like family because we consider you family. We are distinguished among the rest because we’re not salespeople – we’re experts passionate in our craft. We ensure your diamond is not only high quality, but increases in value over time. Let’s create memories that will last a lifetime. We’re putting soul back into the diamond business, starting with our trusted relationships with our clients. 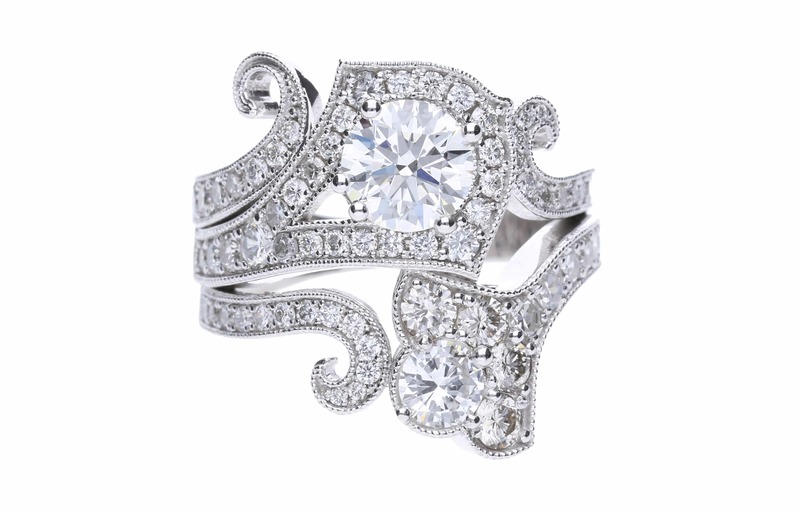 We know diamonds and the craftsmanship behind the process. Boasting a team you won’t find anywhere else with seasoned diamond experience, we’re here to help you through every development of creating your perfect custom piece. 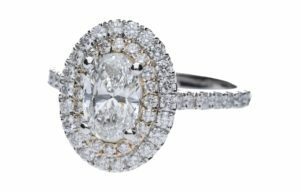 Diamond bridal sets, engagement rings, diamond pendants, earrings, bracelets, or whatever you can imagine – our in-house experience will provide you a step-by-step custom jewelry design and quality you won’t find online or at any other store in Kansas City. Fulfill your dream with us. Carat weight is strictly in reference to weight (size) which equates to overall value and price of the stone. When choosing your stone, you want the proportions to be a specific amount for optimal value. For example, if the stone dimension is too deep, the stone will not only appear smaller, but it will be detrimental for beauty because it would not be cut correctly for the right brilliance. Just as well, if the stone is too shallow it will look bigger but will become foggy quite easily. Buying a diamond at House of Diamonds gives you the luxury of having a guaranteed quality stone since you’re purchasing a loose stone, whereas stones that are brought in to us can only be calculated to a certain accuracy. Cut is the most important aspect of buying a stone. People tend to confuse cut with shape, which is whether the stone is princess, round, etc. Cut is the one stone aspect man controls through manipulating the positioning of the facets and the geometry of the stone for optimal beauty. Cut is what gives a stone it’s fire and brilliance. Generally, a stone is considered “dirty” 95% of the time when worn, and a well-cut stone will push light back through the dirt. A poorly cut stone will not. Cut and brilliance grade is something only a trained professional or the right technology will be able to see, so come in and see us! Clarity addresses the internal characteristics of a stone which consists of inclusions or blemishes that all stones have. For example, crystals or carbon are inclusions as well as other trapped mineral in the stone. These elements dictate the stone’s quality. On one end, a flawless stone has very little inclusions. On the other, inclusions can be seen with the naked eye. Stone inclusions and quality are graded by the GIA (Gemological Institute of America) standards. We educate our clients with as much knowledge as possible and allow them to personally view stones up close and really get to know the uniqueness of each one. Since no two stones are the same, we examine types of inclusions, location of inclusions and their intensity with the client. Those three aspects dictate the grade of the stone.